MAT MAN GOES TO SCHOOL! Mat Man is a kindergarten classroom character and an integral part of the Learning Without Tears handwriting curriculum (www.lwtears.com). Through a multi-sensory experience, Mat Man helps learners develop their drawing and cognitive skills. Drawing is an essential component to student success. 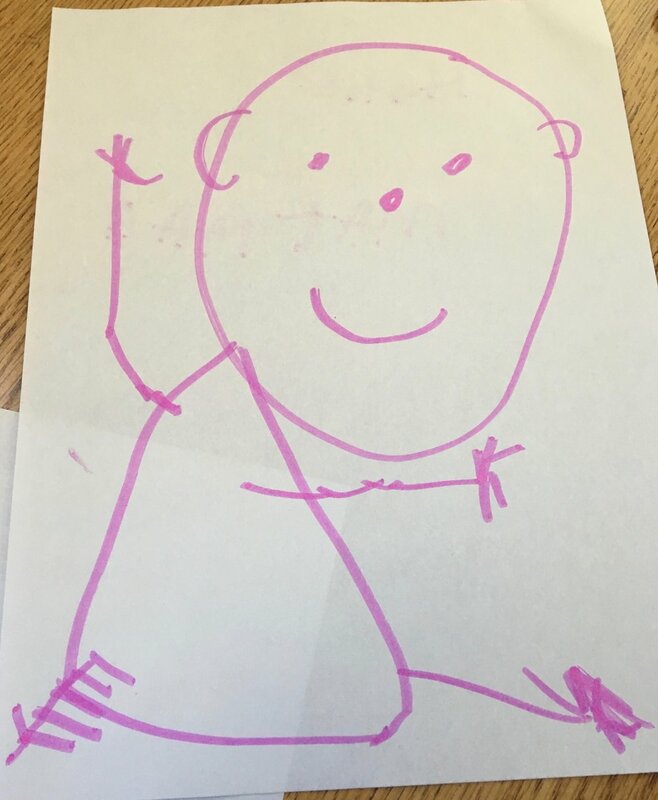 Through drawing, children learn important skills such as: body awareness, fine motor and pre- printing skills, counting and sequencing, sharing and impulse control. Research has shown that when children received Mat Man instruction, their scores on the Draw-A-Person test (a test of cognition, school readiness, body awareness and non-verbal intelligence) significantly improved. The Mat Man school program is designed for students in Junior and Senior Kindergarten and can be tailored for Grade One students as well as students with exceptional needs. The program is approximately 45 minutes in length and can be completed with an entire classroom or with a smaller group of students. The program is multi-sensory and incorporates hands-on-learning, singing and drawing. • Length of Time: 45 minutes with students. An additional 15 minutes is available to speak with teachers and support staff. • Cost: $150/classroom (maximum 1 hour duration). Maximum 28 students. • Follow-Up: Follow-up programming can be offered to groups of students that may benefit from increased practice and/or more individualized teaching. You stirred a lot of creativity in our students the other day and I have definitely seen an improvement in how the students are drawing! – J. Ferguson, classroom teacher. Thank you very much for coming in. The kids really enjoyed it and have been drawing people ever since. I continue to reference [Mat Man] when we are drawing or making things. - K. Falcioni, classroom teacher. I really enjoyed having you in to do Mat man. It touched on so many learning styles. With the music and the big physical pieces it gave the children with low fine motor skills a place to start. Moving to the paper the children did a great job following the instructions to complete their own Mat man. I saw immediate improvement in some of the drawings. I would definitely use this again in the classroom. It was beneficial to all and helped to pinpoint children who need some extra help. Thanks for coming in and teaching us about Mat man! - S. Luknowsky, classroom teacher. For further information or to book “Mat Man Goes To School” for your school, please contact Jessica at (613) 299-6936 or by email at jessica@sproutot.com.